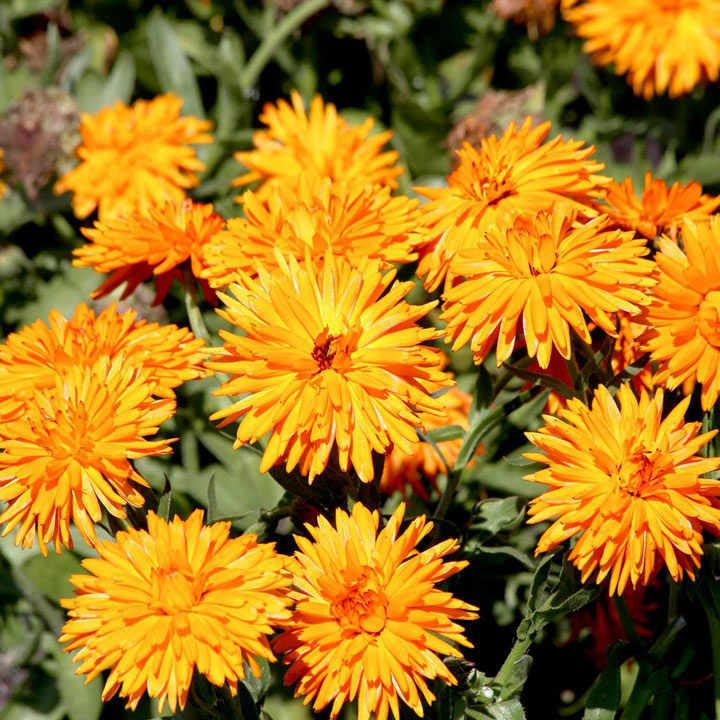 The fantastic new, award-winning dwarf calendula has porcupine type flowers on compact, well-branched plants which are perfect to use in beds/borders and containers alike. The petals can be used as a saffron substitute to colour rice dishes and desserts. The double and semi-double blooms look great, they will also help keep whitefly away from your tomatoes. If you plant them together, they can help keep aphids away from your beans. Flowers July-September. Height 20-30cm (8-12"); spread 20-30cm (8-12"). 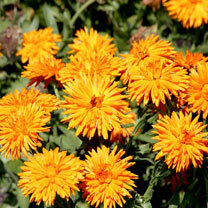 Sow the seed thinly direct into finely raked, moist, warm, weed-free soil where the plants are to flower 1.3cm (½") deep. Germination normally takes 10-15 days. As the seedlings develop, thin them out in stages to achieve a final spacing of 23-30cm (9-12"). For early flowering the following year sow direct August/September where the plants are to flower. Ideal for beds and borders, patio pots and containers, raised beds. Suitable for cutting.